We have found the combination of peels, micro needling and Biologics such as PRP, growth factors, and amniotic fluid increases the efficacy of mainstream IPL treatments. Frequently we incorporate micro-needling to further enhance the health of the skin and pigment cells. Our goal is to treat the red and Brown discolorations and prevent reoccurrence. We use Palomar brand IPL and FDA cleared Biologics. Your complimentary evaluation will provide you with a personalized approach that may include IPL and other adjunct therapies to give you the maximal improvement. Are most popular approach to laxity is using a radiofrequency treatment and growth factors. We can combine radiofrequency with PRP and LED light to increase collagen elastin and blood flow to nonsurgically plump and lift your face and neck. At Rejuvenate, we have chosen a world-renowned manufacturer of IPL and lasers, Palomar Medical. This is most effective for lighter skin patients but can also be used less effectively in people of color. All treatments begin after skin evaluation and a personal consult with our medical staff. Skincare at Rejuvenate we offer a complete line of skincare products. We prefer to support companies that emphasize growth factors, organic ingredients, and other innovative products. We have on staff a licensed, experienced aesthetician to provide a variety of facial treatments such as peels, waxing, spray-tanning, and eyebrow styling among other services. 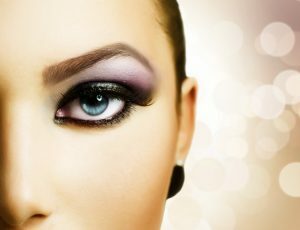 The current fashion trend encourages women to have beautiful lashes. At Rejuvenate we offer lash extensions, tinting, perming, and other biologic products that enhance the appearance and health of your lashes. One of our favorite Lash Enhancers is the AQ’s Lash Serum. Unlike competitive products in the market, this growth factor derived serum will never change the color of your eyes, irritate your skin, or cause undesired hair growth in other facial areas. 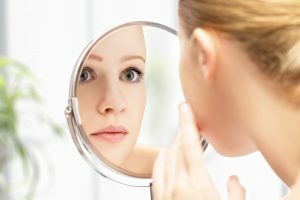 This is a frustrating condition seen in both men and women known to be caused by inflammation that leads to facial redness and increased vascularity. Using micro-needling and Biologics we have been able to normalize skin cells and decrease the appearance of Rocasea. This is an overwhelming skin condition that is embarrassing and difficult to deal with in teenagers and mature adults alike. We offer a combination of products and treatments that address all the complications of this frustrating and chronic issue. Customized treatment plans are created to address the inflammation, the bacterial component, and the associated scarring. We have a remarkable success in treating severe acne scars and pitting, caused by cystic acne. NASA initiated the use of LED in the treatment of skin-healing. We are proud to offer this technology to improve discoloration, wrinkles, burns, and skin-aging. Currently, the medical literature is beaming with double-blind studies showing the efficacy and increased applications of red, infrared and blue light. The world of dentistry and orthopedics has also brought a lot of proof that LED light penetrates to the bones. It restores and regenerates skin, tendons, ligaments, muscles, nerves, and hair. It enhances circulation by stimulating our cells to heal. We incorporate red/infrared lights into our hair and skin regenerative protocols. Psoriasis is a bothersome and chronic skin condition that is difficult to treat. There are several options in the medical field currently but none without unwanted side effects. We can offer a healthier more regenerative option using Biologics, micro needling and LED which shown great outcome in alleviating the visible skin symptoms that are bothersome.